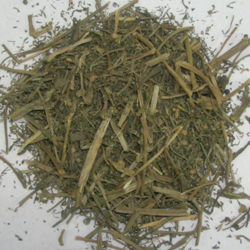 You are at:Home»Herbs»Fumaria officinalis Linn. Latin name : Fumaria officinalis Linn. Description : It is regarded as an excellent blood purifier. Useful in eczema, acne, pimples, scabies, boils, syphilis, gonorrhoea, psoriasis, scrofula, leprosy, constipation and dyspepsia. Its action is probably due to its diuretic and purgative actions, which have a general cleansing effect on the whole body via the kidneys and liver. It is particularly valuable in the treatment of all visceral obstructions, particularly those of the liver. A German article published in 1995 reviewed its beneficial actions on bile and urine flow – thus making it useful for gall bladder and liver problems. It has also been used to remedy digestive disorders such as dyspepsia, flatulence and nausea. Fumitory has been used as a treatment for arthritis, liver disorders and gallstones and acts as a diuretic, slightly diaphoretic, a laxative, aperient, a tonic, a digestive and as an infusion used externally in the treatment of scabies and eczema. It is particularly valuable in the treatment of all visceral obstructions, particularly those of the liver, in scorbutic affections and in troublesome eruptive diseases of the skin. Recommended Dosage : 3 to 7 g powder of dried whole plant. Contraindication : Excess dose can cause hypnotic and sedative effects.